Thursday has announced a handful of tour dates for the end of the year. The band will be taking out Pup and Frank Iero. Tour dates are posted below. Tickets go on sale August 11th at 10 am. The band will also be announcing tour dates for 2018 that include an overseas trek and more North American dates, which will more than likely be the band’s last. There’s a possibility of new music on the horizon but no promise. You can read the band’s full statement below. Today we’re announcing our last shows for the year. Over the years we’ve used these shows to try out more ambitious set lists and to bring together diverse lineups and spotlight young bands. Glassjaw, Converge, Screaming Females, Circa Survive, Poison the Well, the Blood Brothers, Hotelier, the Gaslight Anthem, mewithoutYou, Lifetime and the Dillinger Escape Plan have all been part of these shows. This year we tried to reflect that mix of nostalgia and discovery by including our old friend Frank Iero (who I’ve known since I drafted him into joining My Chemical Romance, while we were recording their record) and our new friends, PUP (who blew us away when we played together at Northside Festival). The problem with nostalgia, and memory in general, is that it’s a destructive process. Much like recording over the same cassette, again and again, the quality degrades with each pass. Put in a modern way, our memory is like a hard drive: the more you try to fit on it, the further it compresses, lowering the quality of the new memory and the original experience, too. Rather than endlessly overwriting the original experiences that we shared with so many of you, we’ve been discussing how and when to wrap up this trip down memory lane. In the next year, we’ll be announcing our international tours as well as a final group of dates in the US, that will be totally unlike anything we’ve ever attempted to do. Beyond that, we will only return in the event of new music. And new music will only come if we feel it’s truly inspired and adds a new dimension to the band. In our humble opinions, there are only a few bands that have put out records worth coming back for. Bands like Portishead and MBV. We have loved every minute of these shows. We look forward to the next year and everything it brings. What the Heck is Emo Anyway? A look at the genres roots. Announce might be too strong of a word (at least at the moment I’m posting this) but Thursday has changed the social media pictures to a tour poster. The band will hit the road late March with Basement and Touche Amore. Tour dates are listed below. This week I have new music from Jesse Smith & The Holy Ghost and Somos, plus tracks from Thursday, Gates, and more. The festival also features Quicksand, Drive Like Jehu, Gorilla Biscuits, American Football, Rainer Maria, The Promise Ring, and tons more. Check out the flyer below. Wrecking Ball happens August 13th & 14th. Pre-sale starts on April 1st. 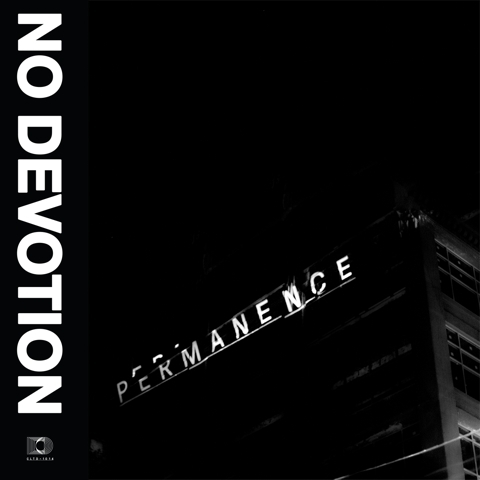 No Devotion, one of former Thursday frontman Geoff Rickly’s new projects, have announced their debut album, Permanence. Permanence will be available on September 25 via Geoff’s label, Collect Records. It features previous singles “10,000 Summers, “Stay” and “Eyeshadow,” plus new song “Death Rattle” which you can preview in the album trailer below. The band was formed by Geoff and members of Lostprophets.